Hello there. I am using Gravity forms and I am trying to add a custom capability to a user whenever the form is submitted. I've manage to achieve this with a Code snippet, added to the function.php, which works really well for a single form. Here is my attempt at a rewrite. if anyone know how I might get it to work on more than 1 form for more than 1 ccap then I'm all ears. We use Gravity Forms for all of our onboarding, including S2 membership and upgrades. Pat Dumond, who might still be participating on this forum, did the initial development of 2 mu-plugins to accomplish this task. The original code used the form field numbers, but I had it modified to use the form field names, as this is more flexible in the event that new forms have a different order of fields. It is not a perfect system - it doesn't account for all possibilities, but it has allowed us to dispense with Pro-Forms. This is not to criticize S2, but we would not expect them to provide as comprehensive a forms system as a dedicated product like GF. Our onboarding forms use the GF User Registration Add-on - either to create a new user or update an existing user. The plugins watch for these to trigger and update the S2 membership DB accordingly. sg_gf_new_s2hack.php adds the S2 data for new registrations. sg_gf_exstng_s2hack.php updates the ccaps for existing members. 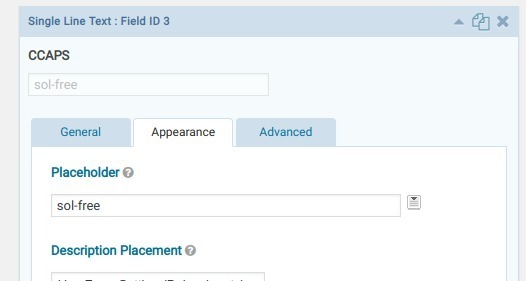 The final value in each var assignment is the name of a GF field that the plugin looks for. For example you can see the CCAPS field. In the GForm, there is a hidden field named CCAPS that contains a comma delimited string of CCAPS to be added to the user's account. This is how all of the fields work. I'm not a php coder, but I've looked at the code enuf to understand what it does. Let me know if you have questions. I'd recommend testing this on a dev site. I like to develop locally. FYI here is a tutorial I wrote on cloning a WP site for local development. Hey thanks for this. Its a perfect solution for what I need. However i could not get it to work. I'll go through what I have tried. 1: Setup an mu-plugins folder in the WP content folder. 3: changed the website in the file to reflect my website. However, despite all this I still cannot get it to work. which is a real shame. If you think I have missed something then let me know. But hey, thanks for the code. Do you have the GF User Registration Add-on setup on the form? Attach one of your scripts. Ok! I got it to work. I was using a - in the name for the custom caps and that was throwing things. Thanks so much for your help. This was the last technical issue I needed to sort out. You are a star!